Heat and hot water are included in rent in the apartment building. 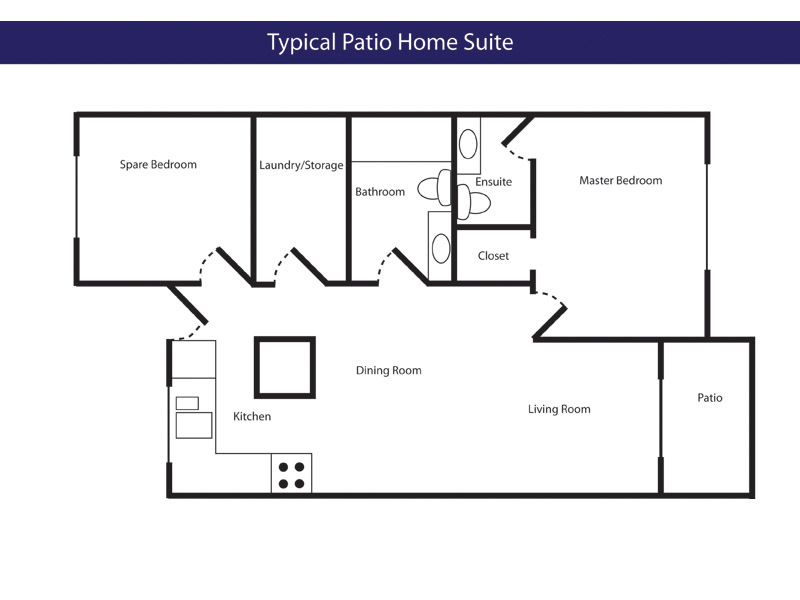 Patio Homes are row house style, single story having a kitchen, dining and living room, 2 bedrooms, laundry room, 5 appliances and a raised outside deck. All utilities are the responsibility of the tenant. Heat is natural gas. Rents are not subsidized; however, low-income seniors may be eligible for rental assistance through SAFER (Shelter Aid for Elderly Renters). Upon request and management approval, a small pet may be allowed, and raised gardening boxes are available (depending on demand). Ken & Murray Forde House is a three-story, 40 unit apartment complex that includes 1 and 2 bedroom suites. 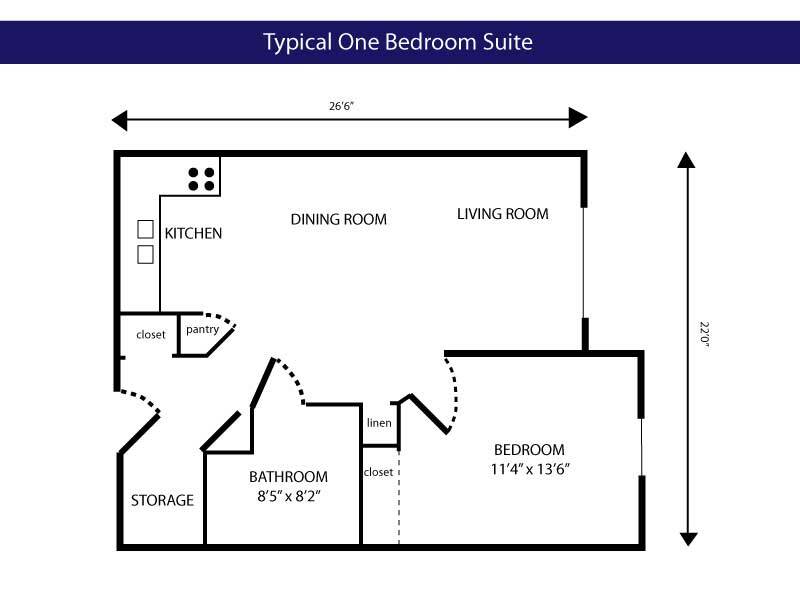 Each unit has a full kitchen with fridge and stove, bedroom, bathroom, living room, and storage room. The building is equipped with an elevator and extra wide hallways to accommodate wheelchairs and electric carts. Some suites are designed to accommodate wheelchairs. Coin operated laundry facilities are located on each floor. Tenants are responsible for providing their own change and laundry products. 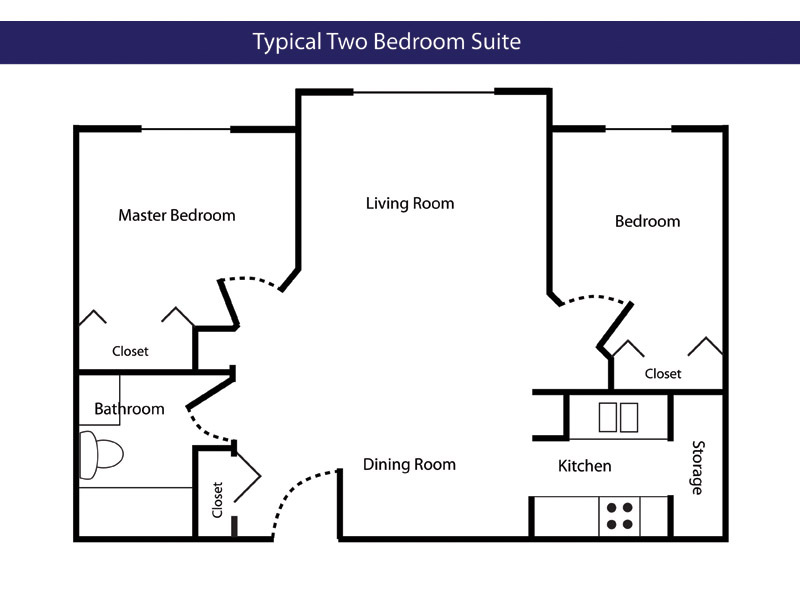 The main floor has a large common room/lounge with kitchen facilities for the use of all tenants.